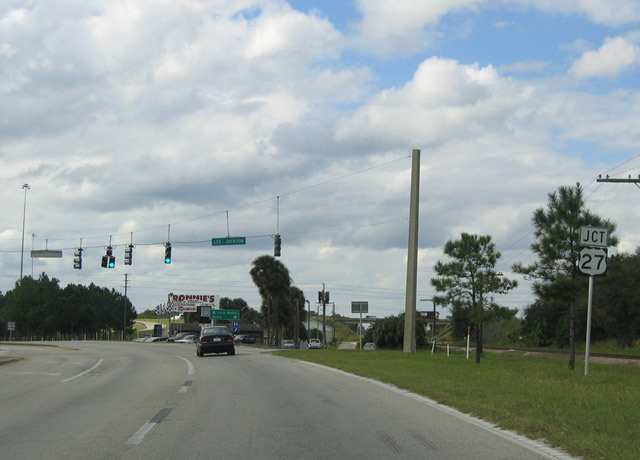 U.S. 17 south & 92 west follow John Young Parkway south from U.S. 192 (Vine Street) through to southwest Kissimmee. The four-lane divided highway used to be called Bermuda Avenue. Photo taken 04/05/08. John Young Parkway southbound at Oak Street. 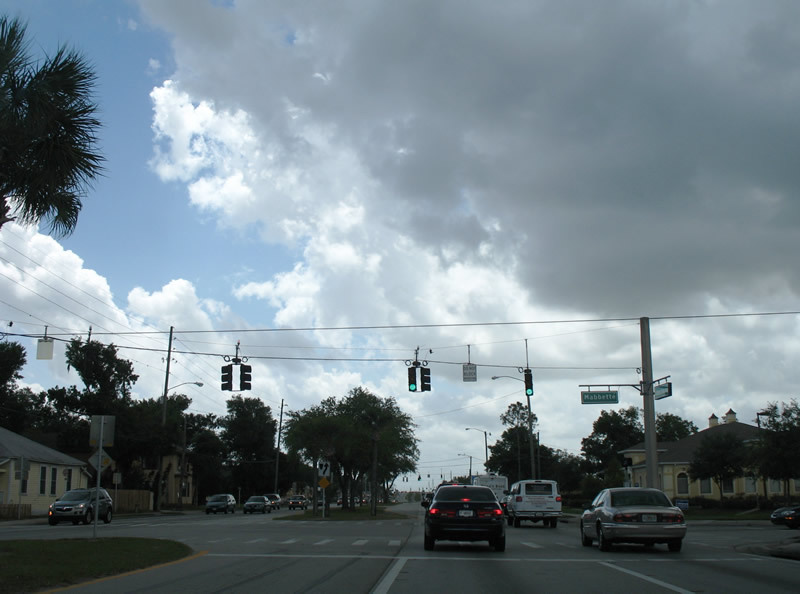 Oak Street heads west to Dyer Boulevard near Kissimmee Gateway Airport and east to Michigan Avenue (former Osceola County 531). Photo taken 04/05/08. 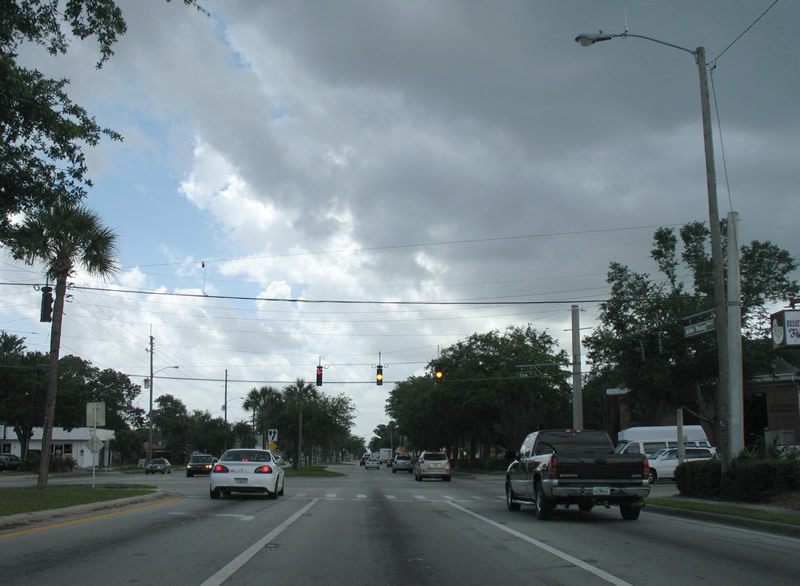 Martin Luther King Jr. Drive represents a fairly new four-lane highway leading east from U.S. 17 & 92 (John Young Parkway) to Osceola Regional Medical Center and Central Avenue near downtown Kissimmee. Photo taken 04/05/08. 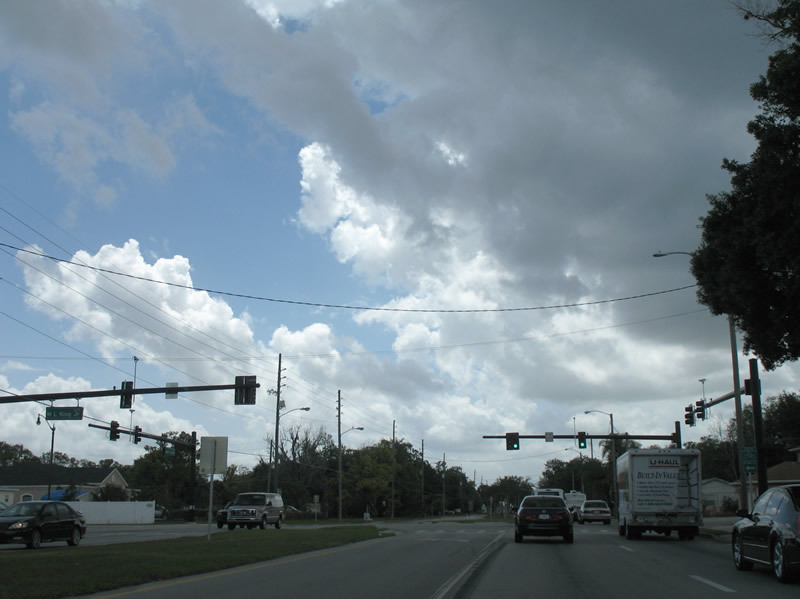 Mabette Street crosses paths with U.S. 17 & 92 (John Young Parkway) west of downtown. Mabette Street west of JYP continues to Thacker Field and unsigned Osceola County 531A (Thacker Avenue). Photo taken 04/05/08. 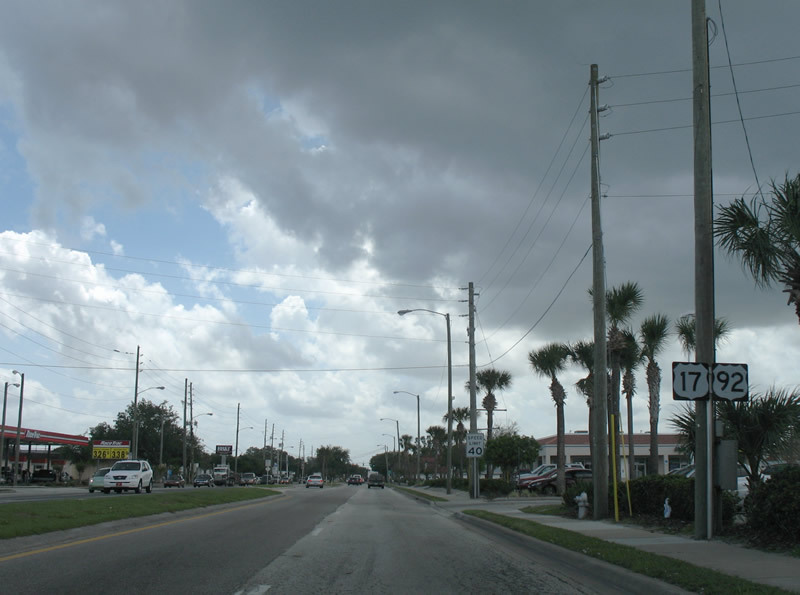 Emmett Street provides the western gateway into downtown Kissimmee from U.S. 17 & 92 (John Young Parkway). U.S. 17 & 92 used to loop through downtown via Emmett Street, Broadway Avenue, and Main Street until 2000. Photo taken 04/05/08. 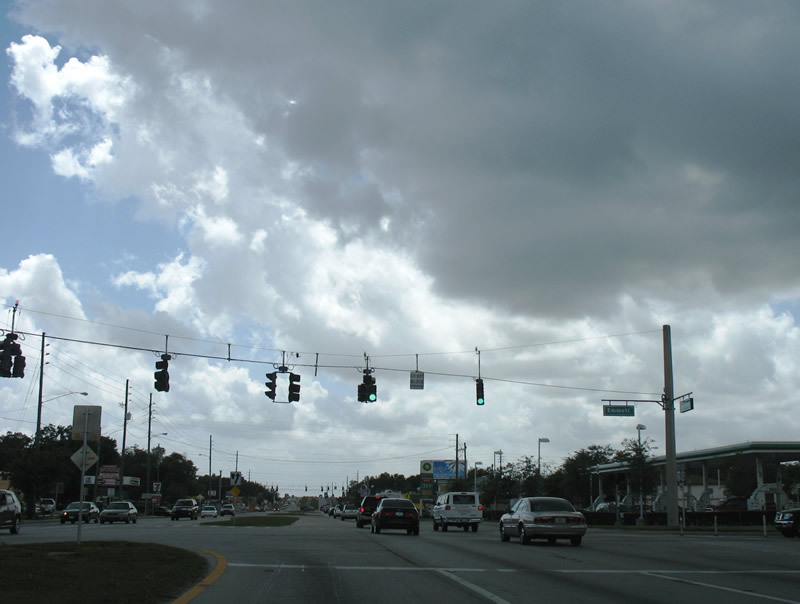 Now southwest of Orlando, U.S. 17-92 south approaches its junction with U.S. 27, a major north-south route that passes through the heart of Florida, connecting South Florida with Central Florida and the state capital of Tallahassee. Photo taken 11/18/03. The interchange between U.S. 17-92 and U.S. 27 is a form of cloverleaf interchange. U.S. 27 is the high-speed, multi-lane highway, while U.S. 17-92 is the business route through the cities of eastern Polk County. Photo taken 11/18/03. 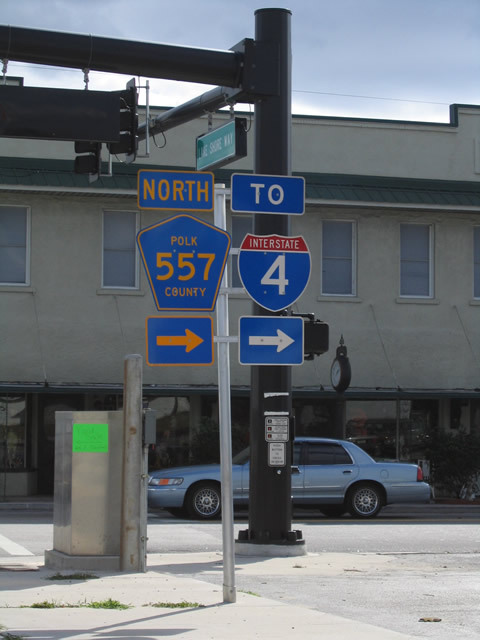 Polk County 557 travels north from Lake Alfred to Interstate 4 at Exit 48. U.S. 17-92 continue southwest, with U.S. 17 serving Winter Haven and U.S. 92 turning west to Lakeland. Photo taken 11/18/03. Page Updated April 21, 2008.